Tempo™ eSATA data cables don't compromise—why should you? 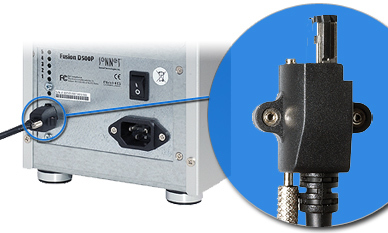 When using an eSATA Serial ATA host controller and connecting external drive enclosures, you need Tempo eSATA data cables! Unlike thin, internal SATA data cables, these cables offer superior shielding and connectors with metal contacts to provide enhanced EMI protection and improved durability required for external use. These cables adhere to the design specifications recommended by the Serial ATA International Organization (SATA-IO), and are built to last. Benefit from a secure connection. Sonnet's exclusive eSATA data cables with locking connectors fasten securely at both ends, ensuring a secure connection to Sonnet Tempo SATA E4P, Tempo SATA X4P and Tempo SATA 6Gb PCIe controllers, and Fusion F3, D400QR5, R400QR5, R400P, D500P, and D800P2 storage systems. TCB-SATA-2/1 is a 1-meter eSATA cable that connects a host controller card with eSATA connectors to an internal drive module with SATA I connectors. TCB-SATA-2L-2M is a 2-meter eSATA cable that connects a host controller card with locking eSATA connectors to an external drive enclosure with locking eSATA connectors. Locking connectors will lock to current Sonnet Tempo E4P and Tempo SATA X4P controllers, and current Fusion D400Q, R400, and D500P storage systems. Locking housings are removeable for compatibility with all eSATA connectors.